يحظى فندق Fairmont Resort Blue Mountains MGallery by Sofitel بمكان متميز في محور المدينة والاستمتاع بـ سياحة, مطاعم في هذه المنطقة الفاتنة. يحظى هذا الفندق ذو 4.5 نجمات بمكان ممتاز يسمح بالوصول إلى المعالم السياحية الأكبر في المدينة، فهو يبعد مسافة 100 km عن صخب المدينة. يشكل هذا الفندق ملاذاَ مريحاً للاسترخاء ويمنح زواره فرصة للاستجمام والتجدد، وهو يقع على بعد خطوات من المعالم السياحية الكثيرة للمدينة. استمتع بالخدمات الراقية والضيافة التي لا مثيل لها بهذا الفندق في هذه المدينة رائعة الجمال. يقدم الفندق فرصة للاستمتاع بشريحة واسعة من الخدمات بما فيها: خدمة الغرف على مدار الساعة, محطة شحن السيارات الكهربائية, متجر هدايا/تذكارات, مكتب الاستقبال على مدار الساعة, مرافق مخصصة لذوي الاحتياجات الخاصة . لقد جهزت هذه الإقامة الفندقية بعناية فائقة لتوفر مستوى عالي من الراحة. في بعض الغرف يجد النزيل تلفزيون بشاشة مسطحة, اتصال لاسلكي بالإنترنت, غرف لغير المدخنين, مكيف هواء, تدفئة. يقدم الفندق مجموعة رائعة من الخدمات كمثل مسارات المشي, حوض استحمام ساخن, مركز للياقة البدنية, ملعب جولف (ضمن العقار), حمام سباحة خارجي، لجعل إقامتك تجربة لا تنسى. 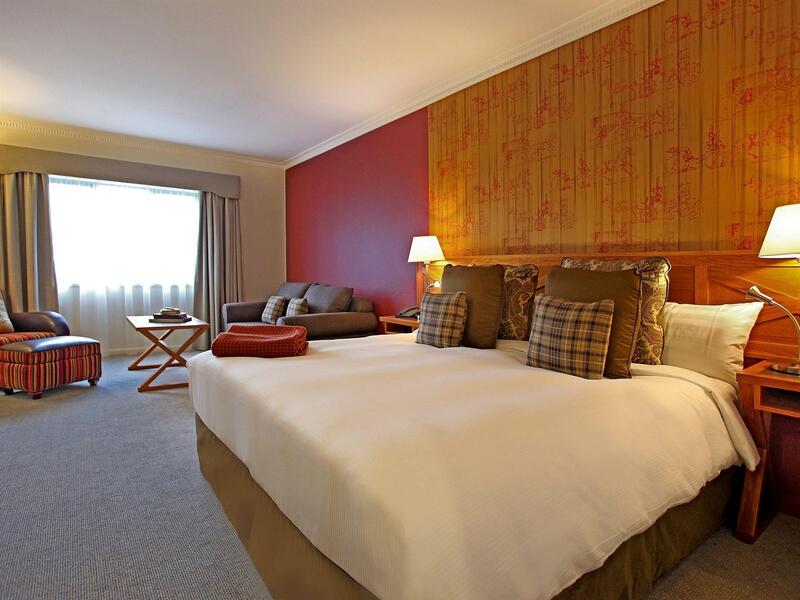 يحظى فندق Fairmont Resort Blue Mountains MGallery by Sofitel بموقع ممتاز وخدمات يصعب منافستها. Close to Three Sisters ,Scenic World and town. Nice and big room. Staffs are very friendly. Lots of foods served at the breakfast buffet with stunning view. Definitely will recommend friends to stay here. As an Accor Plus Gold member, I was upgraded to a bigger room with a view. The staff also accommodated a check in at 8am as I had arrived early. The gym equipment needed some updating. There were both indoor and outdoor pools, which was a nice touch. Embers Restaurant serves up great dishes too! Very nice resort but bit expensive for the value of money. Good family friendly hotel. My 3yo son didn’t want to leave. Food is amazing. Evening buffet is quite expensive though, especially for a family. Facilities accomodate families of all ages. Can't wait for the Ice Skate ring to be completed. We are repeat guests & it never disapoints. 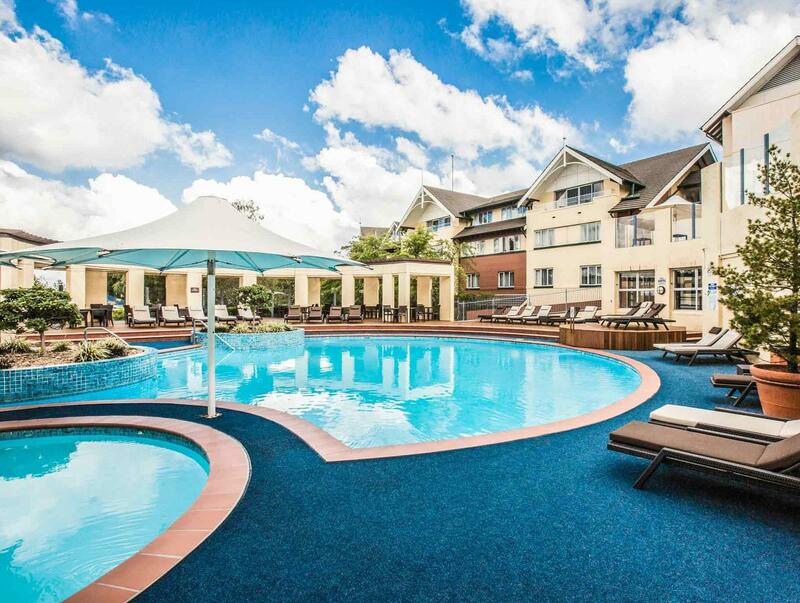 Wonderful location in the heart of the serene Blue Mountains, real quick drive or train ride from the chaos of Sydney. Well staffed, 24x7 support, Good and clean facilities. Food was reasonably priced and good options. Best part of the resort are the stunning views all around. Lots of activities for kids and adults alike. Definitely recommended for Sydneysiders and tourists alike. Clean and nice lobby. Friendly staff. Good breakfast buffet. 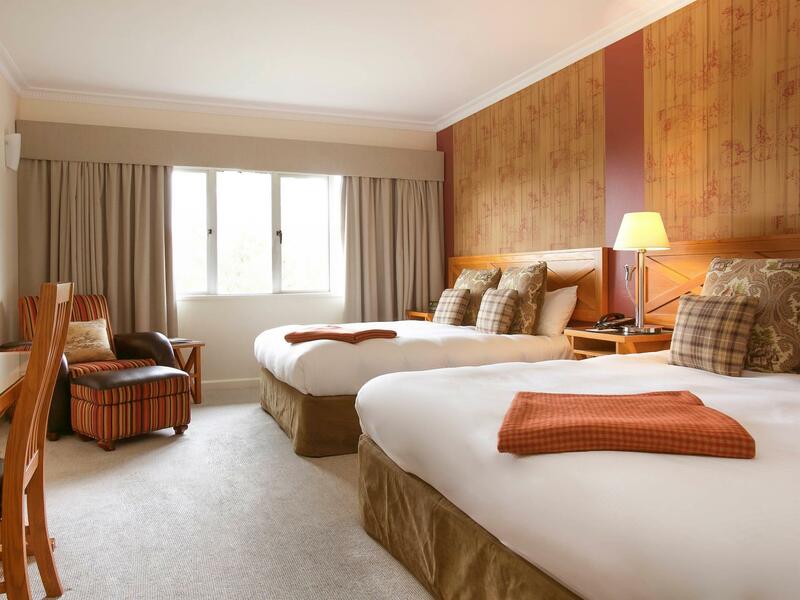 Our standard queen room had been refurbished. The bed was soo comfy & I loved the room. All staff were friendly & reception staff took the time to write a hand written Happy Birthday card, delivered to our room with a bottle of wine. This personal touch i found outstanding. I know where I'll be staying when we need a weekend away. Kids play room was the highlight of our stay! Itvwas amazing for our daughter. Every single staff member we dealt with was amazingly friendly and helpful going above and beyond. Would definitely stay again! we like this hotel very much, wehn we walk into the lobby, we are impressed by the brown wood furnishing, hard wood floor, with three big red classic sofa placing in the middle welcoming us, reception is friendly and efficency, check us in quickly. spacious room, good furnishing, nice beddings, spacious washroom. We left our kids behind and came for a getaway. The hotel is actually quite child-friendly and has activities for children. We didn't try the Segway though it looked really interesting. Rooms are really comfortable and large, good beds and pillows. The breakfast buffet was really amazing, with a wide range of fruits and cereals, as well as cooked items. Good quality food and good service.We didn't try the other restaurants and regret that. 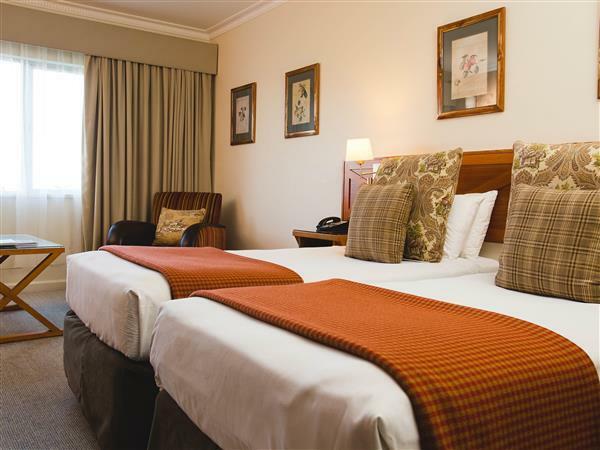 The hotel is near the town of Leura which also offers a few choices of restaurants. It is a bit far to walk to, but a short drive away. The best part of being here, if you don't play golf, is being right near all the great walks down the valley, or on the cliff side.Get a good map to orient yourself. Routes are well marked.Reception didn't have much information, so may need to prepare yourself beforehand. According to the locals, the hotel has been under new management for about 2 years and things have greatly improved. New renovations are in place and there are many child-friendly rooms. We love the Fairmont and come every year with our small children. It's a great set up for kids. However we felt at our last visit everything is so over priced and expensive. Accommodation is pricey and the buffet was $51 per person, breakfast similar. It all adds up and we felt like we were being ripped off everywhere. The rooms are ok but a little tired, particularly bathrooms. It was also very noisy in the corridors at night during school holidays. I don't know if we will continue to stay when it's so expensive. I usually stay here every few months with my daughter and am usually very pleased with the hotel. I was dissapointed this time there were no tissues in the hotel or bottle opener in room. I was told I would need to call every time I wanted a bottle open as they only had one opener in the whole hotel, bottles needing opening should have not been in the mini bar. The bed sheet was ripped. The concierge and desk staff as usual were very helpful. We enjoyed our stay. Staff and people were very friendly. We will 100% be back. The Housekeeping staff - Scott helped to find my lost item and send to my home address via eParcel free. I would highly recommend the resort to any families with kids. We are impressed. Everything is well-maintained and clean. Amusement package for kids is perfect. Essentially, literally, ALL STAFF are welcoming and genuinely sincere (can see them happily working in the hotel). The first time i felt "coming home" because of that. Very few hotels can achieve that - not without proper management of the hotel. So, well done. Was put in quite a large room, with a massive L shaped couch and large screen TV, the property was lovely and golf course was challenging. It was lovely watching the weather come in and go through many different rooms in the hotel.